February 14th is traditionally for those in love, who are planning something special for their significant other. Four Seasons Hotel Prague and CottoCrudo restaurant have prepared a special offer for those who enjoy delicious cuisine and unforgettable experiences. Leonardo Di Clemente, the new head chef of CottoCrudo, has carefully put together for the evening of February 14th a special seven-course degustation menu* comprising of selected delicacies. Each course is inspired by a unique scent such as ginger, anise, mint, vanilla to create an unprecedented dining experience. The evening will begin with oysters with marinated strawberry and kumquat, followed by langustine with caviar, fennel and avocado salad, as well as other delicacies including porcini raviolo with buffalo mozzarella sauce, pineapple coulis and salsify chips and duo of veal. The perfectly romantic atmosphere will be accented by candlelight and a spectacular view of Prague Castle. If you prefer to celebrate Valentine’s Day at home, but are still looking for an original way to show that you love to your better half, the CottoCrudo bakers have a solution for you: thematically decorated chocolate cupcakes that will delight the taste buds of anyone with a sweet tooth. 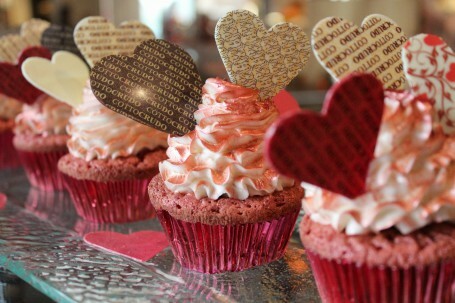 The cupcakes will be available for purchase in pairs at CottoCrudo’s bar on February 14th for 180 CZK. For those who prefer to pamper themselves, the Four Seasons Hotel Prague has the perfect Valentine’s Day present: a treatment in a luxury five-star hotel Spa. Gift certificates for any offered treatments including those with unique Omorovicza cosmetics and a selection of Omorovicza cosmetics for at-home primping will be ready for gifting – the purchase of either before February 14th will receive a special 25% discount.